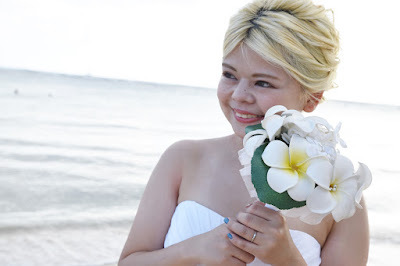 With blond hair it's hard to believe that Aya is Japanese. I think her face suits the foreign hair style. 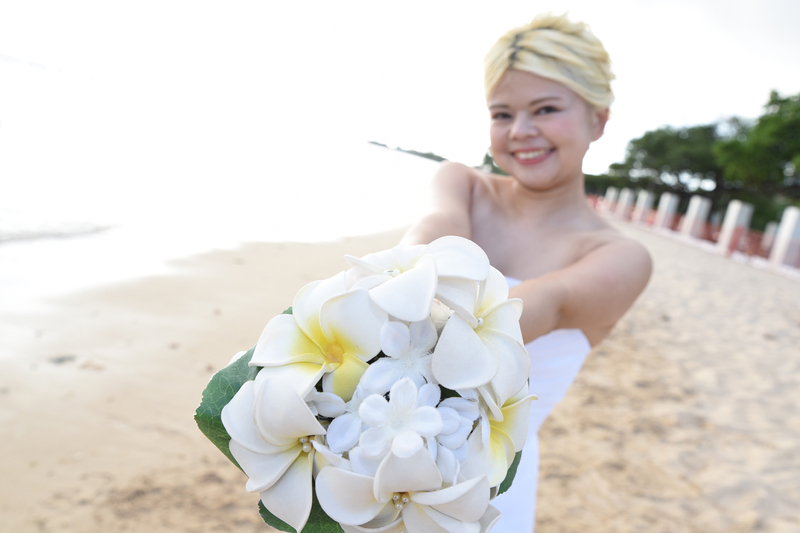 White plumerias with a touch of yellow match her white dress and blond hair too.